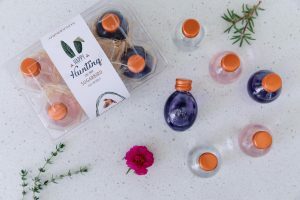 Win Big with Sugarbird Gin Eggs! 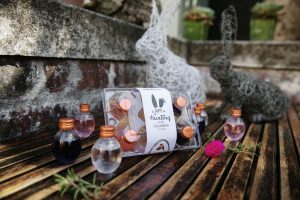 Sugarbird® Gin Eggs make Easter Egg hunting fun for adults too! Sugarbird® is the gin that is #MadeForYou – this mission is infused with their unstoppable entrepreneurial spirit, to ensure that you always have exciting and innovative ways to buy and drink your Sugarbird® gin. Not to mention the whole range of delicious new flavours! took the market by storm over the festive season – around 7 tons, yes 7 TONS, of gin baubles were sold! – another win from this dynamic team. Now it’s time for another unique offering that’ll have you excited all over again! Drum roll…. 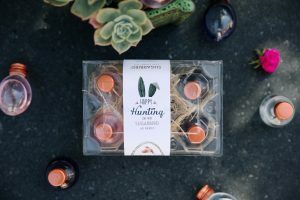 introducing Sugarbird Gin Eggs – making egg hunts fun for adults – including a golden egg hunt – where 5 lucky hunters stand to win a Sugarbird® gin gift set worth R5000. Find the winning golden egg inside the copper lid of your gin eggs! Sugarbird® Pink Pelargonium – a new delicious pink Rose Geranium-flavoured gin. nationwide and online at www.pnp.co.za. Celebrating life with food, wine, friends & happiness! Writer, cook and blogger. Author of four cookbooks. Passionately South African, proudly Capetonian. La Paris Bistro Autumn Menu: Steak, Salads, Vegan, Cake, Champagne & Kid’s Play Area! Discover New Tastes & Cocktails at Catharina’s!